From one of Canada’s pre-eminent sopranos to the opera singers of tomorrow — Sheila K. Piercey is paying it forward with an extraordinary donation in support of the Canadian Opera Company Ensemble Studio. 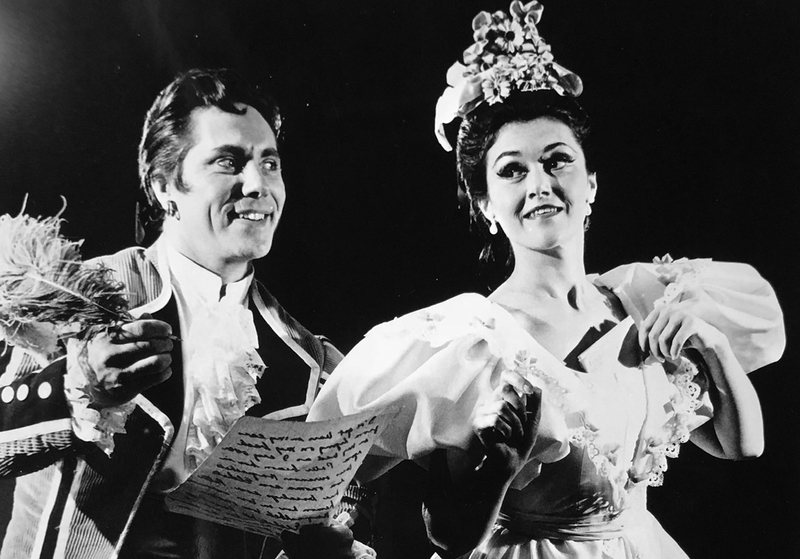 Soprano Sheila K. Piercey dazzled COC audiences from 1958 to 1971 with her “natural vivacity and her clear, flexible, rich voice” (The Canadian Encyclopedia). An avid supporter of the arts, Sheila is now making dreams come true for young Canadian artists with the Sheila K. Piercey Fund, a generous endowment established in support of the COC Ensemble Studio. This fund, along with an operating gift, is ensuring that there will be resources in place for years to come to train, develop, and empower the next generation of Canadian opera stars — opportunities that did not exist when Sheila was an emerging artist. Born in Halifax, Sheila was introduced to music at a young age. Her mother, Lilian Piercey, an accomplished pianist, organist, and vocalist, was Sheila’s first musical mentor. Sheila continued music studies with baritone and choral conductor Leonard Mayoh and made her operatic debut in 1954 as the Mother in Amahl and the Night Visitors. Over the next two years, she performed extensively in Nova Scotia, affirming her commitment to establishing a professional career in opera. "Aren't they lucky to be where they are at this time in their lives..."
— from a letter from Sheila K. Piercey to the COC, on seeing a photograph of the COC Ensemble Studio. Offered a scholarship from the Royal Conservatory of Music and the University of Toronto opera program, Sheila moved to Toronto in 1956 and studied under Ernesto Vinci, a fellow east-coaster. Her voice charmed Toronto audiences in CBC Opera’s Peter Grimes (1959), Jenůfa (1957), and the title role in Stravinsky’s The Nightingale (1957). 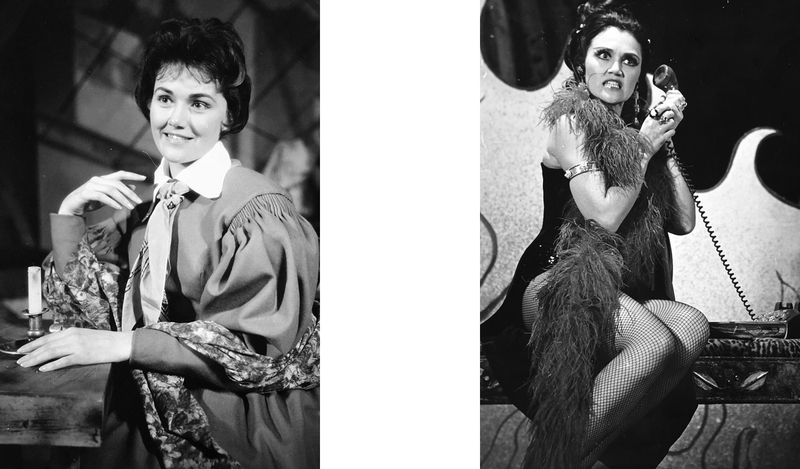 As the Dew Fairy in Humperdinck’s Hansel and Gretel in 1958, Sheila made her role debut with the Canadian Opera Company — marking the beginning of a long-lasting relationship that spanned 22 mainstage roles and 16 COC tours over 13 years. A gifted performer, especially in comedic and soubrette parts, Sheila’s roles at the COC included Adele in Die Fledermaus, Rosina in The Barber of Seville, Norina in Don Pasquale, and Mimi in La Bohème, among others. Canadian mezzo-soprano Janet Stubbs describes the inspiring effect that Sheila had on young singers — "As a young mezzo-soprano, I made the decision to pursue a career in opera after attending a dress rehearsal of the COC’s The Merry Widow. One of the soloists in that cast was Sheila K. Piercey. The memory of her striking presence has remained with me ever since." Moving back to Nova Scotia in 1971, Sheila’s philanthropic legacy began in the form of teaching. From 1977 to 1982, she taught voice at Dalhousie University — igniting a passion for helping young singers unlock their artistic potential. She has continued this work through charitable activities, supporting the construction of the Sheila K. Piercey Rehearsal Hall and two voice studios at Dalhousie University — the Ernesto Vinci Vocal Studio and the Leonard and Doris Mayoh Vocal Studio — named in honour of the mentors who helped shape her career. Sheila has been a vital supporter of the Maritime Conservatory of Performing Arts in Halifax and has developed scholarships for young artists, like the Sheila K. Piercey Collaborative Pianist Awards, which provides six vocal students each year with bursaries to cover the costs of hiring an accompanist for auditions and performances. Sheila’s remarkable gift to the COC Ensemble Studio ensures that the next generation of great Canadian singers and pianists will have unparalleled access to comprehensive mentorship at one of North America’s best opera houses — from mainstage performance opportunities, to master classes with some of the world’s best artists, to one-on-one coaching. Thanks to Sheila’s visionary contribution, the Ensemble Studio will continue to be a crucial launching pad for young singers with big dreams. An exemplary champion of the art form, Sheila K. Piercey is helping to build a culture of Canadian opera that will thrive today and in the future. Article originally published in the COC Spring 2018 program.